Royalwanne “de Luxe” is a Whirlpool of the special kind. While you are enjoying the bath of your choice, you are massaged with water nozzles arranged in a specific order from the feet up to the neck. The inner lights shift colour in order to guarantee a relaxing experience. 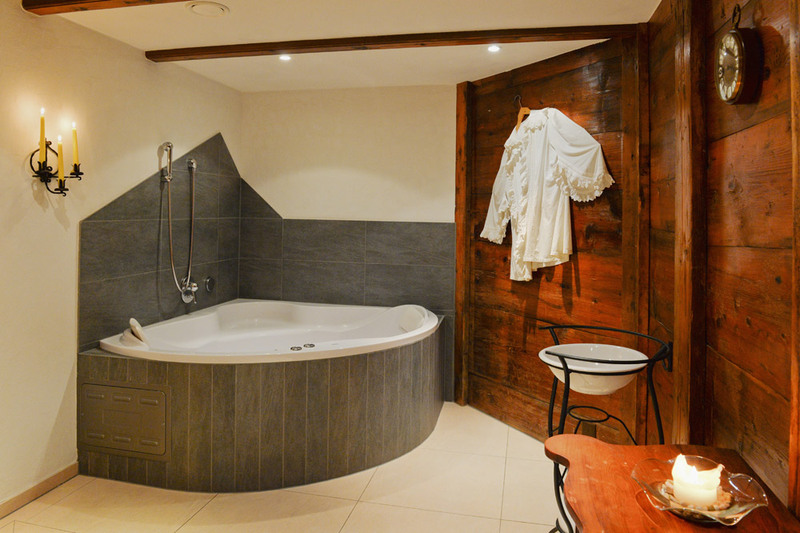 In a private atmosphere you can enjoy a bath in the whirlpool. Enjoy a special bath whilst, one of you is massaged for a certain period of time. Afterwards, you switch. Together, you can relax and enjoy a bath with rose blossoms and a glass of sparkling wine.